Meagan McManus, Assistant Professor and Languages Department Curriculum Chair is the recipient of the prestigious Motlow Faculty Excellence Award. The award is sponsored by the Motlow College Foundation. Pictured with Meagan are Motlow interim President Hilda Tunstill and Motlow Foundation chair Lori North. 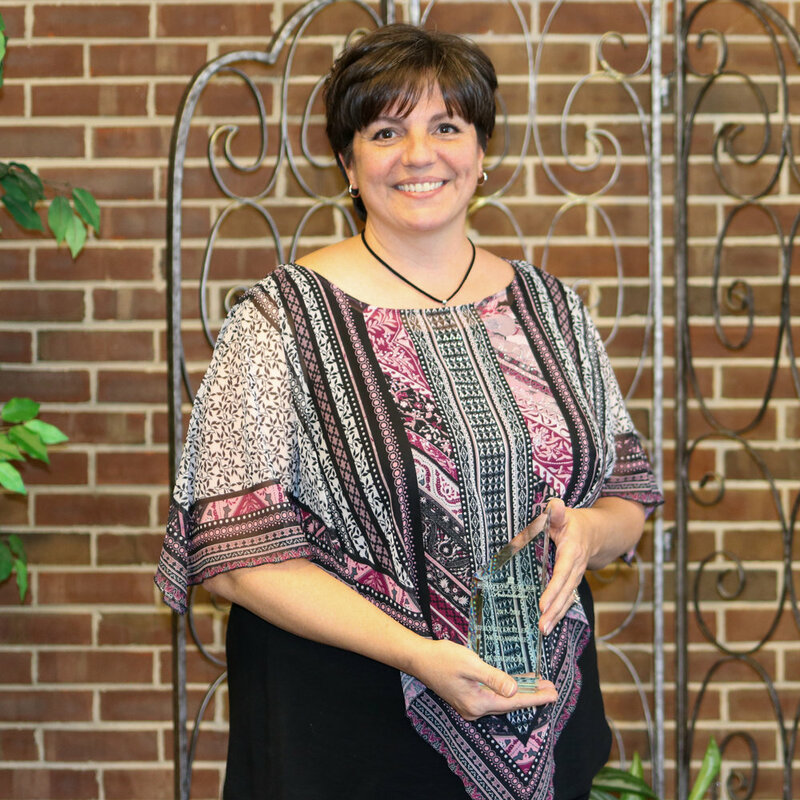 Ms. Meagan McManus was honored as the 2018 Faculty Excellence Award recipient during the annual Motlow College Faculty Excellence Awards Ceremony and Reception on Thursday, April 12, on the Moore County campus. Attended by approximately 40 people which included faculty, staff, students, family, trustees, and friends, the Motlow Foundation chair Loir North presented McManus with an engraved jade acrylic and a check for $1200. McManus wears multiple hats throughout the Motlow College teaching and learning community. In addition to being an associate professor of English, she serves as director of the Honors Program, curriculum chair of the Languages Department, and director of the Quality Enhancement Plan (QEP). She has been a Freshman Academic Success Team (FAST) member, worked as a Writing Center tutor, and served as interim Writing Center Coordinator. McManus serves on the team that secured the $25,000 Tennessee Board of Regents (TBR) SERS grant for Honors and the $30,500 TBR SERS grant for Learning Support Writing. McManus earned her bachelor’s and master’s degrees in English from Middle Tennessee State University. Currently, she has completed coursework for her Doctorate in Education with a focus on Assessment, Learning, and School Improvement. Outside of work, she loves to shop and spoil her dogs. A hallmark of an outstanding institution is its ability to recognize and honor faculty excellence. Sponsored by the Motlow College Foundation, the custom began in 1978, and it continues as a cornerstone of the institution. 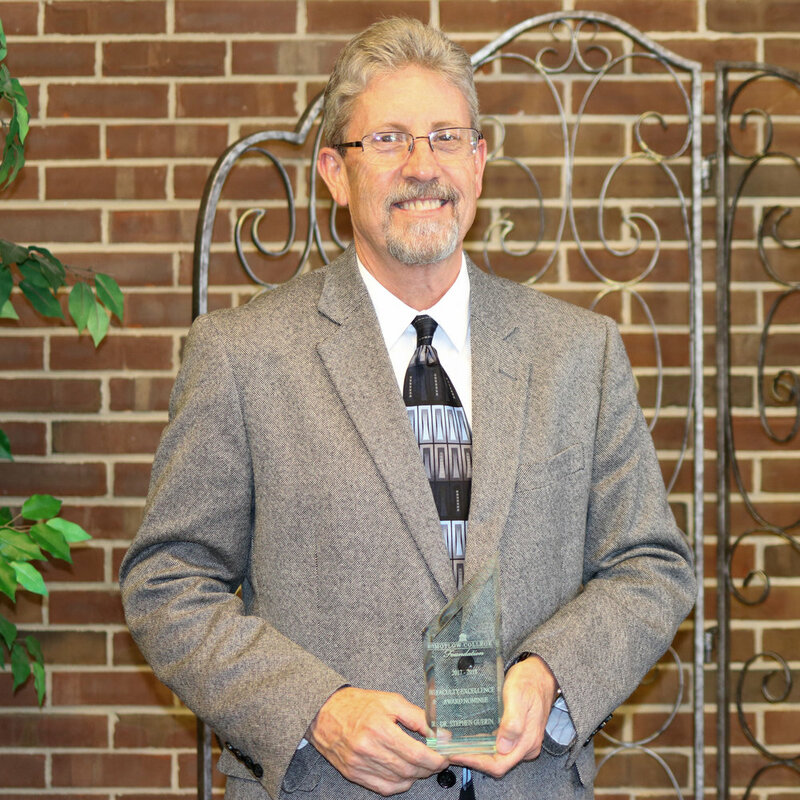 The Faculty Excellence Awards recognize faculty who excel in the areas of professional activities and development; instructional activities, improvement, retention and completion activities; non-instructional college service; community service, and student evaluations. Ms. Lori North, chair of the Motlow College Foundation, presided over the ceremony. Faculty Excellence Nominees Honored – Eight finalist for the prestigious Motlow Faculty Excellence Award were honored in an afternoon ceremony sponsored by the Motlow College Foundation. Pictured from left, are Motlow interim President Hilda Tunstill, Stacy Dowd, Misty Griffith, Dr. Stephen Guerin, Heather Koller, John Hart, Meagan McManus, Dayron Deaton-Owens, and Motlow Foundation chair Lori North. Not pictured is nominee Marian Stewart. Peer Faculty Excellence Awards were nominees Ms. Dayron Deaton-Owens, Ms. Stacy Dowd, Ms. Misty Griffith, Dr. Stephen Guerin, Mr. John Hart, Ms. Heather Koller, and Ms. Marian Stewart. Each nominees received an engraved jade acrylic and a check for $300.